The preservation of the ham and its cutting are fundamental elements for its enjoyment. 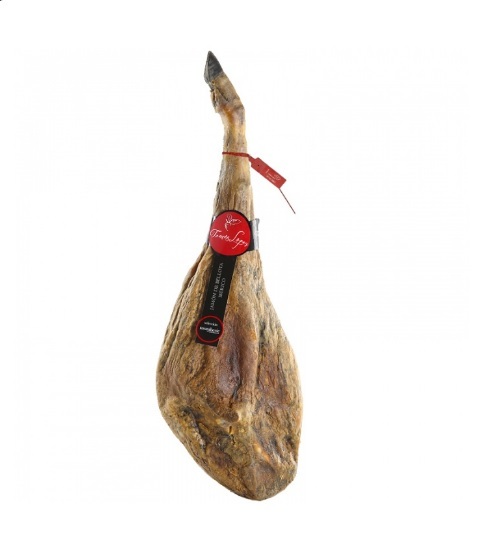 First of all, we should know that for a good preservation of the ham, it must be in a cool and dry place, with a temperature of around 15º C and a relative humidity of 75%. The place where the ham is hung or where we install the ham holder must be protected against insects (pantry, cellar …); we should avoid leaving it outdoors. In order to fully appreciate its exquisite flavour, it is recommended to consume it at room temperature. If we will eat the ham at different points in time, when we stop cutting it we should cover the surface that has been cut with pieces of excess fat to prevent it from drying out. In addition, we should cover it with a mesh to protect it from insects, avoiding a bad conservation of the ham. 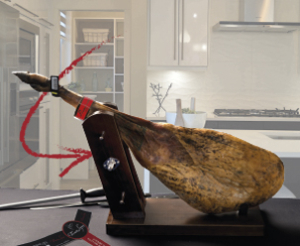 The temperature of the ham should be between 19ºC and 22ºC. We should never heat it or remove the oil. If the ham was vacuum packed and/or it was in the fridge, we should take it out of the fridge a couple of hours before consuming it in order to reach the right temperature. When the temperature is lower than it should be, the ham is perceived as saltier and of worse aromatic quality than the freshly cut ham. It should never be eaten at – 14 degrees. From 14 degrees onwards, the melting point of the oleic acid in the fat is reached”, and therefore this greater fluidity “facilitates the release of the aromatic compounds, thereby increasing the intensity and persistence of the aroma while the fat covers the taste buds, reducing salinity. 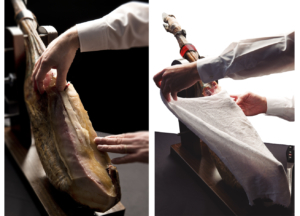 In Moniberic we know to perfection the different varieties of Iberian hams and Serrano hams. 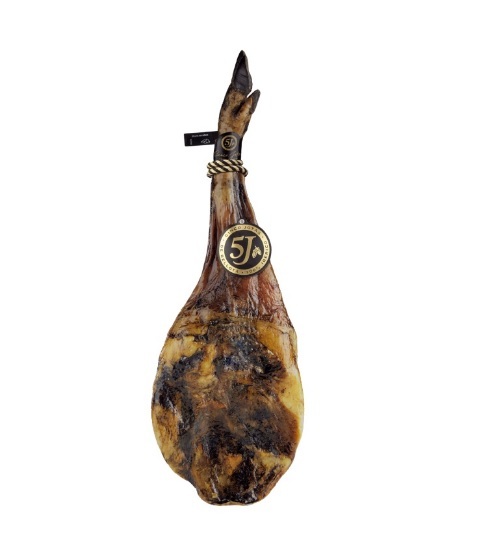 We know exactly what the strong points of each variety are and what a ham must have to be exceptional. In this way we offer you an unbeatable selection of high quality, tasty hams, at the perfect point for consumption. If you are thinking of buying an acorn-fed or bait-fed shoulder, don’t hesitate to buy it in our online shop at an incredible price! At Moniberic, we offer you a select variety of the best paletillas so that you can enjoy a quality ham with an exceptional flavour. At Moniberic we are passionate about sausage, but only the really good one, the one that has a taste that conquers the most demanding palates and an aroma that falls in love. Within the category of lean and Iberian sausages you will find everything from Iberian chorizos, longanizas, espetec… to 100% Iberian acorn-fed loins. All of them of a quality more than assured. Where does the best ham come from? 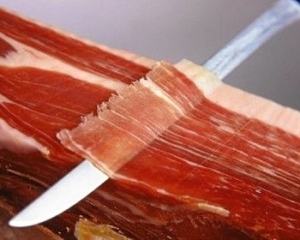 @moniberic @moniberic Is it good for health to eat ham?